We were already losing the light. As our baby blue PT Cruiser pulled into the parking lot and its doors flung open, my little son’s legs took four strides for every two of mine–so happy was he to finally be free from the car after the hours’ long trek from my grandmother’s Texas nursing home. What’s more, he’d just spent entire days in a well-worn recliner, cooped up with his headphones on, tuned in to Star Wars and Sponge Bob cartoons to drown out conversations that his little five-year old mind wouldn’t have understood. To be honest, I barely understood the true weight of those words in my thirties. They’d left my head spinning and heart adrift, my very core jostled and frayed. I might tell you the whole story someday, but for now: if you’ve ever had to explain to the 93-year old mother-of-your-mother why she can no longer live in her own home after breaking her hip not once but twice, you might have an inkling of my frame of mind. So I did the only thing I knew to do–the only thing to put me right before going home. I’ve always taken refuge in books–as the youngest child who spent much of my childhood alone, literature was my first comfort, my first escape, my first hiding place. I had read about a collection of Southern indie bookstores in Garden & Gun Magazine a few months earlier, and I decided to do a truncated tour of them on my way home to Georgia. Oxford, Mississippi, was barely out of the way, and I knew that a gander around Square books was just what I needed. 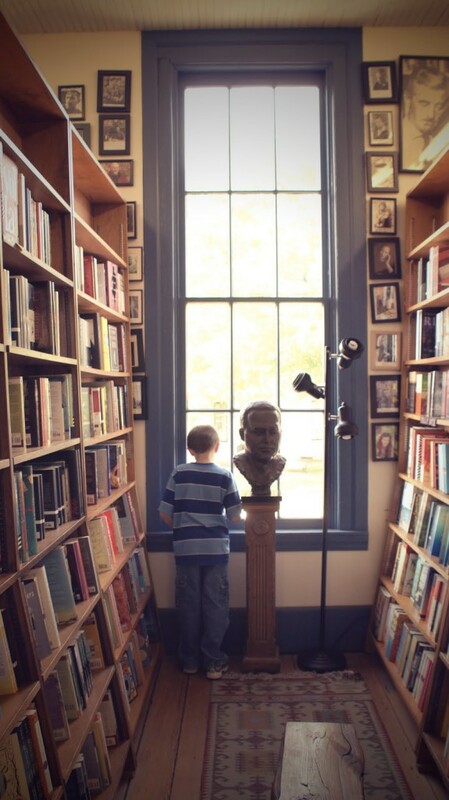 The Little One, hanging out in Square Books. 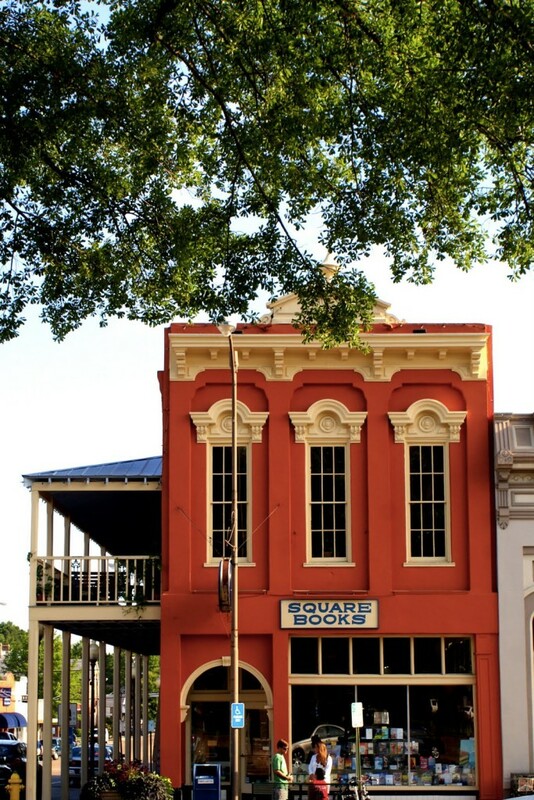 Oxford, Mississippi. But I also knew that William Faulkner’s Rowan Oak was nearby. As an English major, I knew I just couldn’t pass it by, lest a lifetime of regret might ensue if I didn’t make it those parts again. I arrived at sunset, and sadly what I didn’t realize, was closing time. 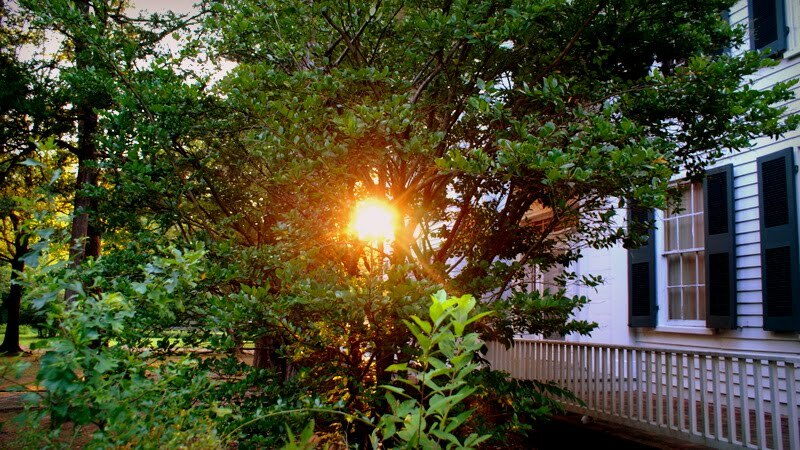 I’m pretty sure I gasped when I first stood there between the oaks on that path to that front door. I wanted to photograph at the perfect angle, so without thinking, I got down on my knees to get everything in the frame. 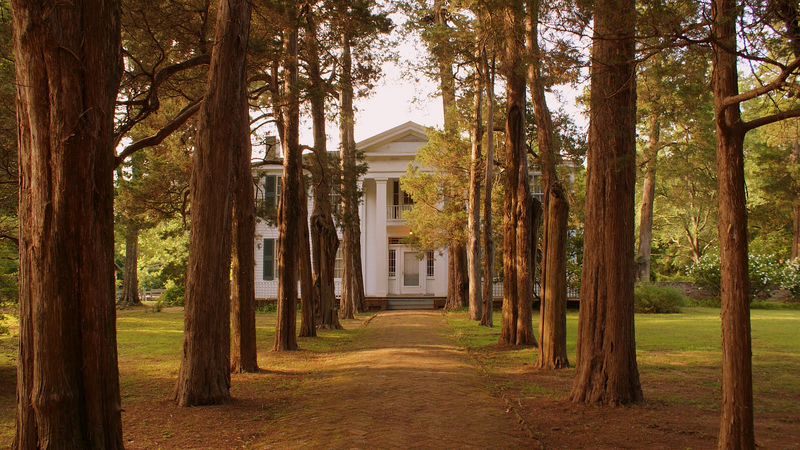 I caught myself…there I was, kneeling before the house of Faulkner and I wondered if his spirit might have seen. As my son and I reached the front steps, I saw a form materialize at the door, locking it. Then I saw his face look up and see me. I must have been a sight…a disheveled, crestfallen heap with a camera and a child. His face softened, and he unlocked the door and greeted me warmly. He actually seemed happy to see me. “We haven’t had any visitors all day,” he said. He explained that orientation at the college had been the week before, and they’d been packed. But that day, all quiet. “Take as much time as you need,” he said. “I’ll lock up afterwards.” I’ll never forget this kindness.